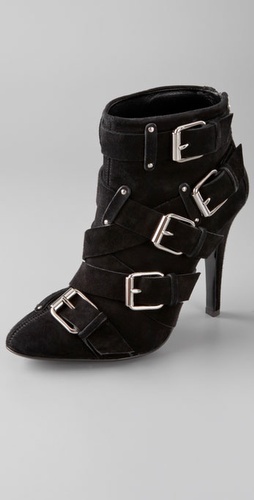 These multi-buckled Balmain booties have been out for awhile, but don't expect them to go on sale any time soon! You can find them at ShopBop for $1,195. Lucky for you, these amazing booties are almost exactly the same but only $115! They're back in stock at Nasty Gal but are already selling out again fast!